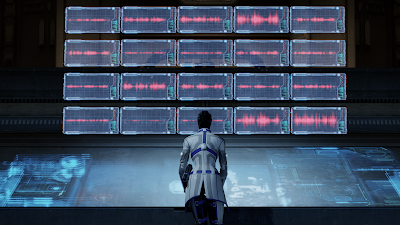 #5 – Citadel (Mass Effect 3): Effectively a love letter to longtime fans of the Mass Effect trilogy, Citadel is the lengthiest, most expansive piece of post-release DLC. It’s also the cheesiest, story-wise, but in a way that embraces some of the series’ goofier moments, with a borderline-cliché plot of Commander Shepard being dogged by a squad of assassins, led by none other than a clone of the famed human protagonist. The story sees Normandy crew members new and old band together for extravagant shootouts and a feelgood party, while visits to new areas of The Citadel allow Shepard to take part in arcade games and make small talk with his comrades-in-arms. It’s a beautiful culmination of everything Mass Effect has worked to become over the years, from the impending showdown with the Reapers, the illicit activities of Cerberus, the bonds forged with alien pals, and Shepard’s iconic awkward dance moves. 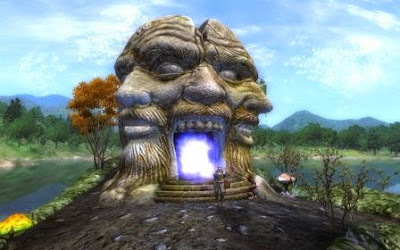 #4 – The Shivering Isles (The Elder Scrolls IV: Oblivion): A visit to the ethereal realms of mania and dementia sees you, the hero of Cyrodiil, called upon by the island’s resident governor and madman Sheogorath to stop the Greymarch and subsequent rise of Jyggalag, an entity which seeks to destroy this fever dream of a kingdom. Every dungeon you explore and every task appointed to you feels like part of a larger, breathing world, all of which is a massive improvement over the core game of The Elder Scrolls IV: Oblivion, wherein the sidequests felt more carefully plotted than the core campaign against the Daedric princes. Sheogorath and his subjects are a wacky, sometimes unnerving bunch, and the general bizarreness that emanates from this place does well to instill memories that will stick with players long after they’ve returned to the larger world of Cyrodiil. #3 – Lair of the Shadow Broker (Mass Effect 2): While Liara T’Soni is reverted to a supporting role for the duration of Mass Effect 2, taking on the Lair of the Shadow Broker DLC mission explores the dangerous web she has willingly walked into in an effort to track down the elusive individual known as the Shadow Broker. Liara’s hope is that she can find a solid enough lead through one of the Shadow Broker’s many associate assassins and smugglers to pinpoint the titular antagonist’s location in the vast sea of stars, but when a loyal friend and confidant of hers goes missing, she turns to Shepard for help. The pacing of Lair of the Shadow Broker is nigh-on breakneck, the stakes high, and the storytelling intense – it proves nothing short of one of the greatest plotlines within the larger Mass Effect narrative. #2 – Lonesome Road (Fallout: New Vegas): No point in my playthrough of Fallout: New Vegas led me to feel so alone or made the world appear so desolate as the final piece of DLC, Lonesome Road. A proper sendoff to the irradiated wild west RPG, Lonesome Road sees The Courier called to The Divide, a land which he holds deep ties to, though he does not entirely recall the valley’s importance. And who should invite him there but Ulysses, one of the game’s most compelling, complex, and intimidating characters – one whose actions hold significant repercussions on the larger world, though they can, of course, be swayed through dialogue options (or more physical confrontation) by The Courier, as per Fallout tradition. 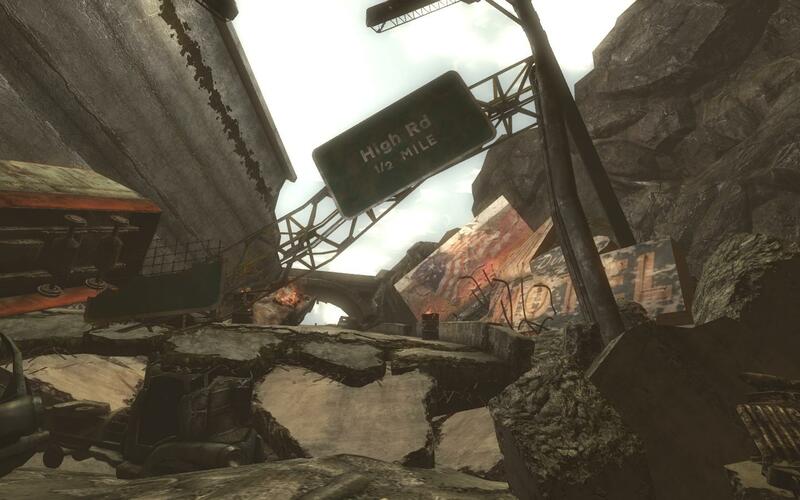 Despite the lengthy walk through decayed cityscapes and along crumbling highways littered with nuclear warheads, the threat that looms at the end of Lonesome Road makes the very air of this experience a curious combination of haunting and dire. #1 – Lost in Nightmares (Resident Evil 5): If you ever wondered what the original Resident Evil might have looked like with the graphical prowess of modern consoles, Lost in Nightmares has a terrifying treat for you. 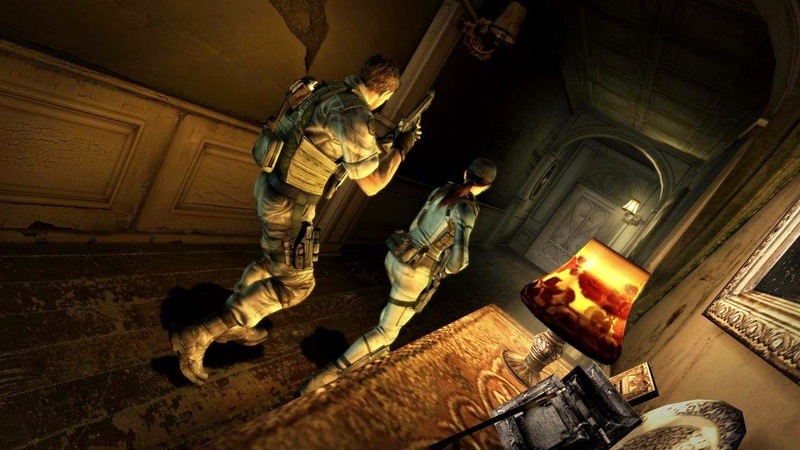 Sporting better lighting effects and an environment filled with more fully-rendered assets than the Gamecube remake of Resident Evil, Lost in Nightmares is perfectly paced, and emphasizes puzzles as well as limited combat with a small number of key enemies leading up to the ultimate, more action-heavy showdown with infamous series villain Albert Wesker. Above all else, Lost in Nightmares rekindles the thematic of horror that first put Resident Evil on the map, and is easily the most impressive release tied to Resident Evil 5. My review of Avengers: Ultron Unbound. Written by Roy Thomas, Dann Thomas, Bob Harras, and Ben Raab. Illustrated by Dave Ross, Manny Clark, Kris Renkewitz, Scott Kolins, Larry Alexander, John Czop, and Vince Russell. My review of Black Science, Volume Two: Welcome, Nowhere. Written by Rick Remender, illustrated by Matteo Scalera. Yesterday was Free Comic Book Day, and while I nabbed a handful of preview comics and free issues on ongoing series, I also decided to purchase a few trade paperbacks as well from a local comic shop. 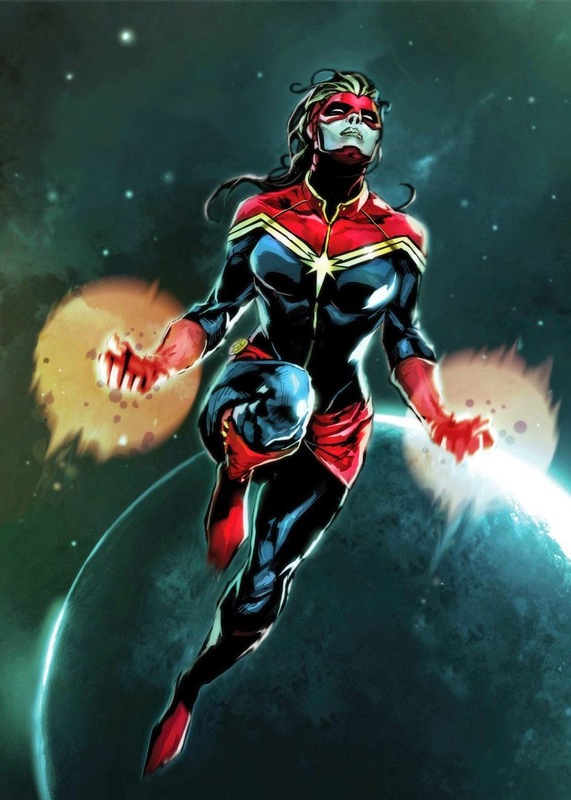 All three were Marvel properties, the first being Ms. Marvel: Best of the Best, as I’ve really been digging Carol Danvers’ role as Captain Marvel in the more recent Avengers tales and her current solo series. I thought it appropriate to travel back to some of her earlier tales of action and heroism. Along those same lines, I picked up the Avengers/Invaders collection, a post-Civil War story which appears to highlight Ms. Marvel, Captain America, Black Widow, and many other Avengers members who I am familiar with, as well as some that I would like to read more about. 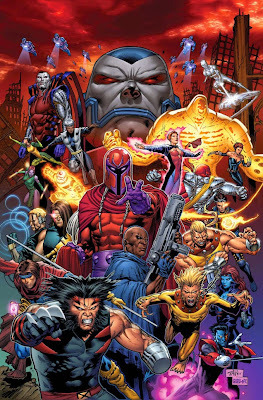 Finally, I grabbed the second collection in the X-Men: Age of Apocalypse epic, a release which, as I understand it, was something of a confusing series of trade paperbacks, as this second volume is where the Age of Apocalypse story truly starts, while the first collection is comprised largely of side stories and supplementary material. 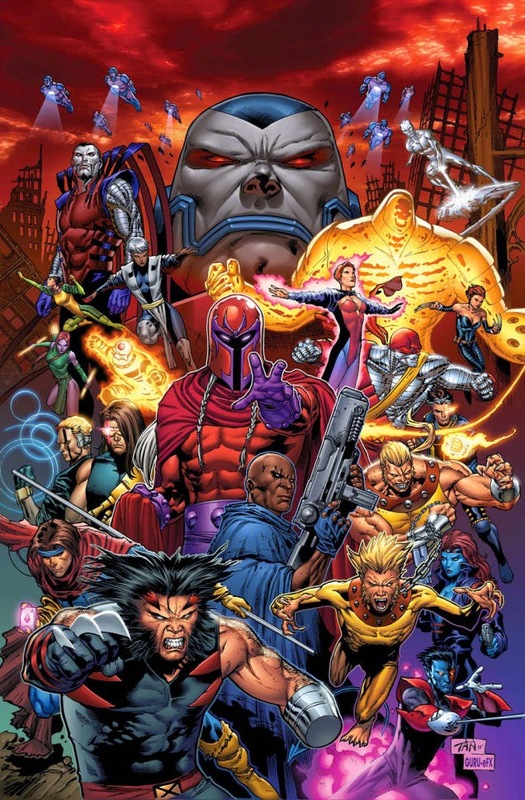 Until very recently, it had been years since I had read a proper X-Men story, but upon finishing X-Factor Forever, my interest in the mutants was somewhat rekindled, as I wanted to learn more about Apocalypse as a villain – the vast majority of my pre-existing familiarity with X-Men tales stemmed from the conflicts between Charles Xavier’s titular team and Magneto’s Brotherhood of Mutants. Also among my semi-recent purchases are Avengers: Ultron Unbound, an early 1990s story wherein Ultron attempts to take down the West Coast Avengers and build himself a robotic wife in preparation for his plans to kick-start dormant volcanoes to wipe out all life on the planet. It’s a bit corny, and the oddball cast that makes up the West Coast Avengers is a striking reflection of Marvel’s 1990s style, but Ultron is an entertaining villain as always, and the interactions between some of the Avengers members imply some less-than-happy-go-lucky outcomes. I recently finished the second trade paperback collection of Rick Remender’s Black Science, a series which – if it continues to fire on all cylinders while maintaining a scope that balances intrigue with a focused plot, as it has been from the start – may go down as one of my all-time favorite graphic novels. I am somewhat wary in stating that, as I don’t want to get too far ahead of myself, but Rick Remender’s writing has consistently impressed me across the many different storylines and genres he has tackled. By the end of this month and into early June, I expect to have added the latest volumes of Guardians of the Galaxy, Nova, Captain Marvel, Legendary Star-Lord, and Captain America to my collection, as well as Jim Starlin’s latest original graphic novel, The Infinity Relativity, and the Realm of Kings reprint in order to round out my collection of Marvel's cosmic renaissance works. I may also end up purchasing the Annihilation Conquest Omnibus for that same reason. Other trades that I have my eye on and may bundle into orders later this summer include Spider-Man Noir: Eyes Without a Face, Infinity War, Infinity Crusade, Thanos: A God Up There Listening, Uncanny Avengers, and the Thunderbolts series featuring Agent Venom, Red Hulk, Elektra, Punisher, Deadpool, and Ghost Rider.